Features: MEINL Free Ride Suspension System (patented) 8 mm strong tuning lugs 2.5 mm rounded SSR-Rims Includes: Accessory pouch, Tune Up Oil The MEINL FWB200 Free Ride Series Wood Bongos are made from high quality components and produce a superb tone. 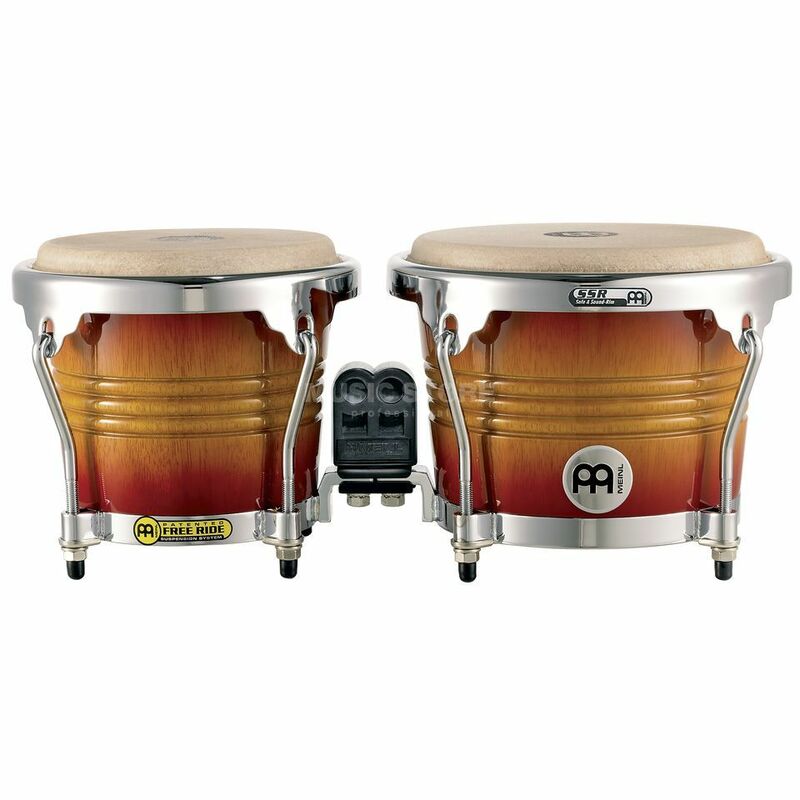 The patented MEINL Free Ride System allows freely resonating bongo shells. !!! 30 days Money back warranty !! !